Is it the heat? the lack of routine? the pleasures of summer? I haven’t posted much, but I have been busy! 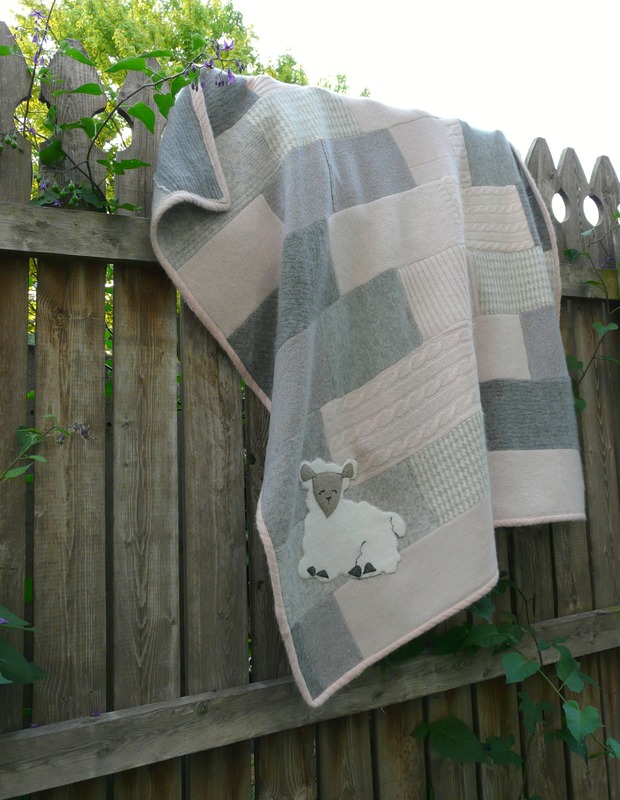 In July, a custom-made little lamb blanket went to baby Caroline in New York. It was a gift from her great-aunt, who became familiar with The Green Sheep through her neighbor, a friend of mine. 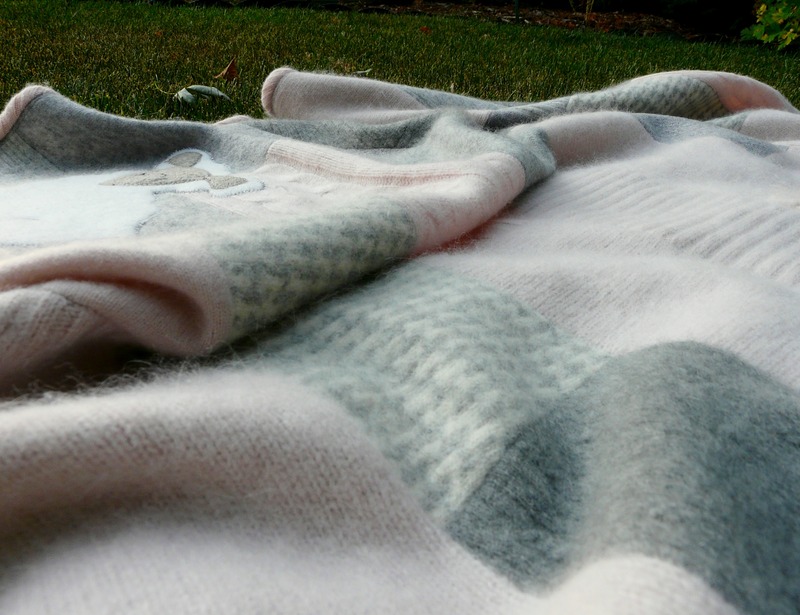 and enjoying this soft little blanket, made just for her. 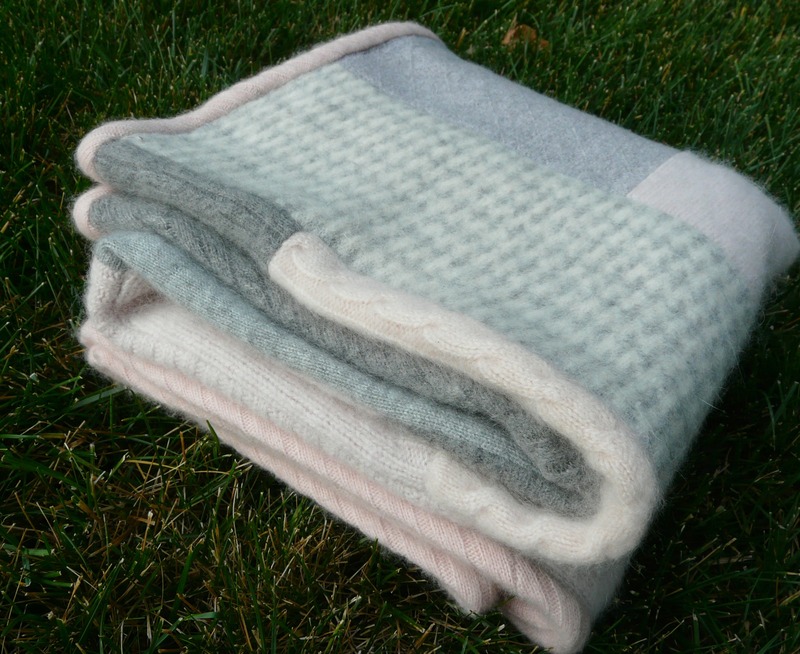 Being the purchaser of this sweet blanket, let me tell you all that I was looking for that perfect gift. One that set itself apart from all others. One that screamed quality and yet practical enough to be loved for a long long time. I was perfectly pleased with this sweet little piece of comfort for my great niece. Thanks Joanie! In light of the big storm out east….this was perfect timing. Thank you, Nancy. That means a lot. There’s always an element of uncertainty when making a specific thing for a customer…! Beautiful! I love pink and grey. 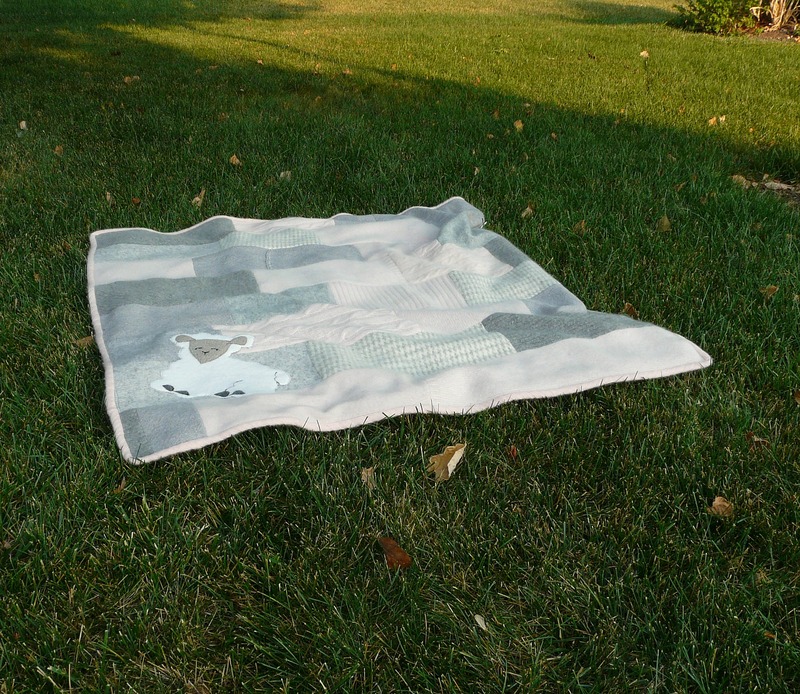 Another lovely blanket. So much tallent Joanie. Is Lois coming out for a visit this Fall ?